Iranian Foreign Minister Mohammad Javad Zarif arrived in South Africa yesterday to discuss ways of expanding bilateral ties, Iranian media reported. The top Iranian diplomat is scheduled to hold talks with his counterpart Lindiwe Sisulu and President Cyril Ramaphosa. According to the Islamic Students’ News Agency (ISNA), the Joint Comprehensive Plan of Action (JCPOA), the nuclear deal Iran signed with world powers in 2015, and expansion of trade ties will top the agenda. Zarif is accompanied by a senior trade delegation that includes representatives both from the government and private sectors. Head of the Iran Chamber of Commerce Gholam Hossein Shafei leads the trade team. Iranian trade representatives plan to meet with African business people to explore ways of enhancing cooperation in different fields, including mines, food, engineering services, petrochemical products, oil, medicine and pharmaceutical equipment, tourism, car manufacturing, and household appliances. Iranian media said Zarif trip comes at the official invitation of the South African government. Comment: As the Trump Administration has abandoned the nuclear accord and is determined to step up diplomatic and economic pressure on the Islamic Republic, the Rouhani government has doubled down on efforts to seek international support to minimize the impact of U.S. sanctions. Zarif is visiting South Africa just after returning from India. Over the past one year, Tehran has sought to cultivate closer ties with South Africa, particularly in banking sector. In a meeting with visiting speaker of South Africa’s parliament Baleka Mbete in September, President Hassan Rouhani said Tehran was keen to boost its diplomatic and economic relations with the African nation. “Iran and South Africa can make valuable efforts for international peace and stability as well as for developing countries’ interests by cooperating at international fora.” Zarif told Mbete that “Iran can be a reliable partner for South Africa in the region.” In a separate meeting with her Iranian counterpart Ali Larijani, the top South African lawmaker also stressed that her country supports Iran’s accession to BRICS – the association of five major emerging economies: Brazil, Russia, India, China and South Africa. Valiollah Saif, the head of the Central Bank of Iran, said expanding banking relations with South Africa should be a priority. Iranian banks are planning on opening branches in South Africa. In the past decade, the Islamic Republic has consistently sought to expand its influence in Africa. Former Iranian president Mahmoud Ahmadinejad made significant efforts to expand Tehran’s relations with African nations to offset Iran’s increasing isolation by the West. While the Rouhani administration’s priority has been to improve Iran’s relations with the West, it has not forgotten Africa and sees it as an important region for Iran’s soft power and hard power strategies. By building closer ties with African countries, Tehran hopes to gain their support in the United Nations and other international and regional platforms. 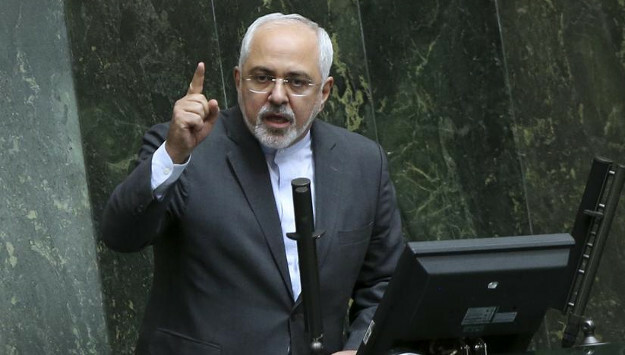 Just before leaving Tehran, Zarif highlighted that “the South African government has consistently supported the Iranian people’s rights in the nuclear issue over years.” In addition, Tehran may hope that expanding ties with African countries would serve its naval expansion in the future. And as Washington is reinstating sanctions on Iran, Tehran is trying to bolster its financial and economic relations with other countries to fight off potential isolation.